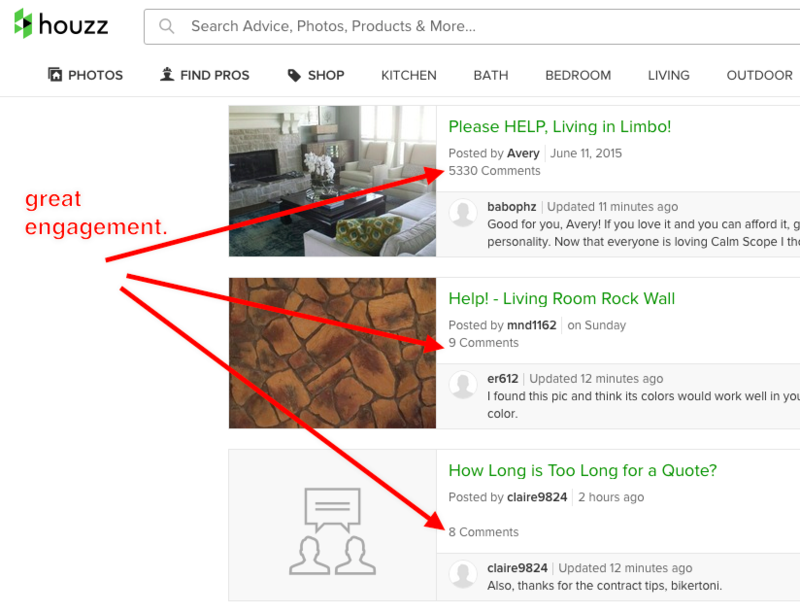 This article was originally published on Growth Everywhere. So you created what you thought was a masterful piece of content but there’s no traffic coming in. The marketing experts talk about the importance of content marketing and how it has made a world of difference in their businesses. The traffic and leads just seem to gush in for them. Backlinko gets 90,000 visitors a month and it’s a newer SEO blog, Derek Halpern has over 200,000+ e-mail subscribers—and the list goes on. It’s the one element that people don’t talk about often: content promotion. And when people DO talk about it, they say content promotion is perhaps even MORE important than the content itself, but no one really tells you how to do it effectively. We all produce a ton of different content so it just makes sense for us to double down and expand/repurpose it in order to maximize mileage, right? In this post, we’ll walk you through how to promote your content as well as repurpose it on other platforms (which in essence is also a form of promotion). Let’s call this ‘Content Expansion’. The typical content marketing strategy involves publishing a blog post, seeding it to your social profiles, and maybe sending a few e-mails out. Doesn’t it feel like there should be A LOT more that? First, the one thing I’ve heard from the Neil Patels and Derek Halperns of the world is to create truly epic content. It’s a lot easier to promote and repurpose content when it’s top-notch! Assuming you have done that, it’s time to turn your attention to all the platforms that are available for you to repurpose to. And remember: repurposing is a form of promotion because you are distributing your content further. Apple iTunes – it takes a little bit of work to set up a podcast (equipment, software, editing, etc.) but once you get in a flow, it’s a piece of cake. 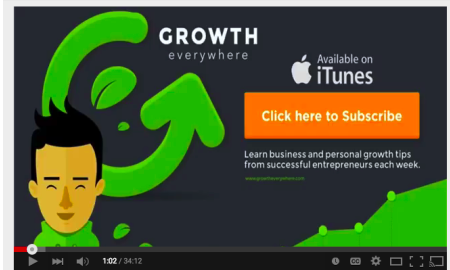 Pat Flynn has a fantastic guide on how to set up a podcast here. Stitcher – same as above. Facebook (organic) – People talk about Facebook organic reach being dead, but that’s not the case. If you have a presence on Facebook (or if your audience hangs out there), you should be posting directly to the app (that means not using social media tools for your page posts). You’ll get more reach that way. Guests posts on other sites – After you’ve found the best places for you to guest blog and established a good relationship, ask if you can repurpose some of your content for their site. For example, I was able to publish an interview I did with Cal Newport on Entrepreneur because I rewrote the post based on their guidelines. If it’s valuable to your audience, why wouldn’t it be valuable to a similar audience? It’s a win/win for both sides. Medium (duplicated posts are OK) – Medium is a growing publishing platform that has some neat tools to help amplify your posts’ reach. 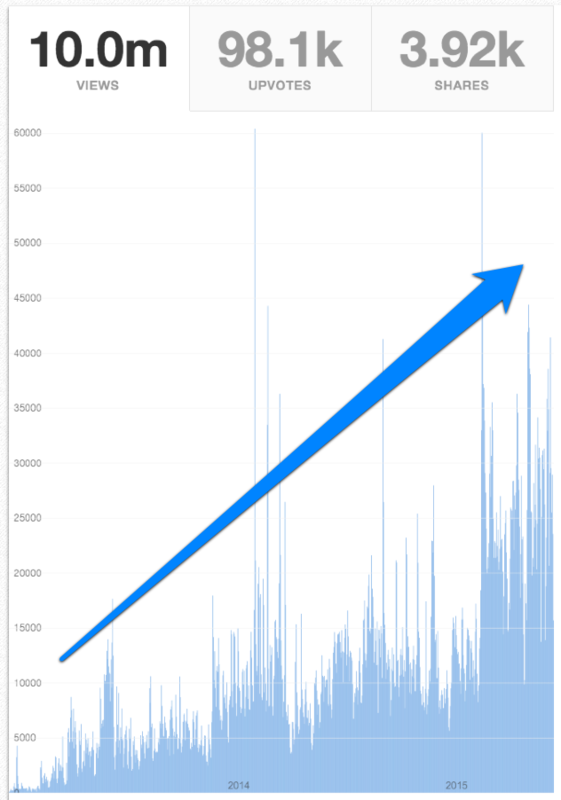 As of 3/19/14, Medium has 13 million unique monthly users. That’s nothing to turn your nose up at. Sometimes I’ll syndicate my content to Medium. Most SEOs will say that it’s probably not a good idea to syndicate content. For me, I say it depends. The most important thing when considering syndication is how you can do it safely without harming your website. Twitter – You are still using Twitter, right? 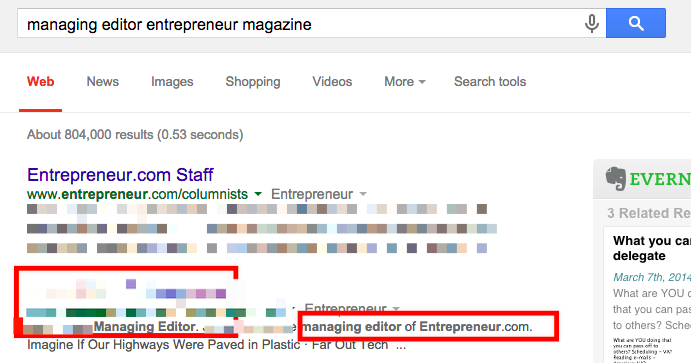 Guest posts on other sites – I’ll sometimes write on larger publications such as Entrepreneur.com. Because my content is relevant to their audience it tends to resonate. However, larger publications have strict requirements for original content. That means I’ll have to spend some time recrafting my content to fit their guidelines. It pays off in the long run though. Neil Patel does a good job of breaking down the lessons he learned from publishing over 300 guest posts. Sure, these numbers aren’t eye-popping, but as you continue to add them across these other platforms, it adds up. 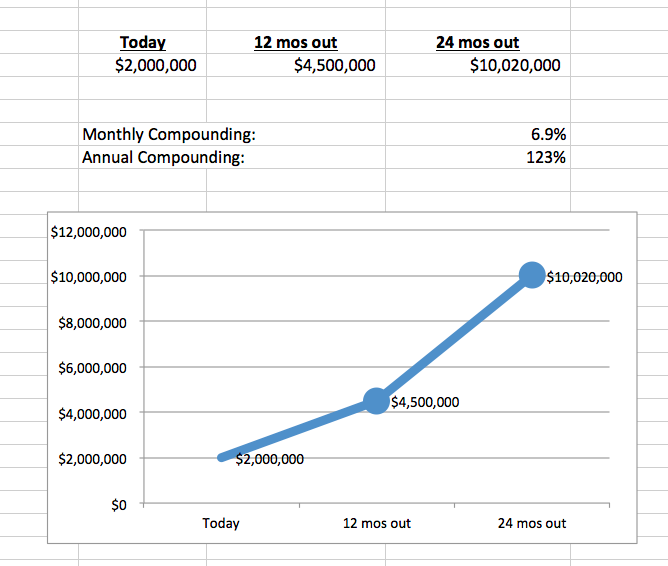 Compound it over years and then you’ll see some serious numbers. But that’s not all. Newer platforms like Pinterest, Instagram and Periscope are popping up all the time. Writing them off without at least exploring can be a huge mistake. For example, Foundr Magazine’s Nathan Chan grew his Instagram following to over 110,000 people in just 5 months. What’s more impressive is that he gets 20,000 of his IG followers to click on his bio link each month – 45% convert into e-mail subscribers. Have you ever wanted to contribute to sites like Forbes, Huffington Post, Inc. or Fast Company? Young Entrepreneur’s Council is a fast pass to getting on these sites. 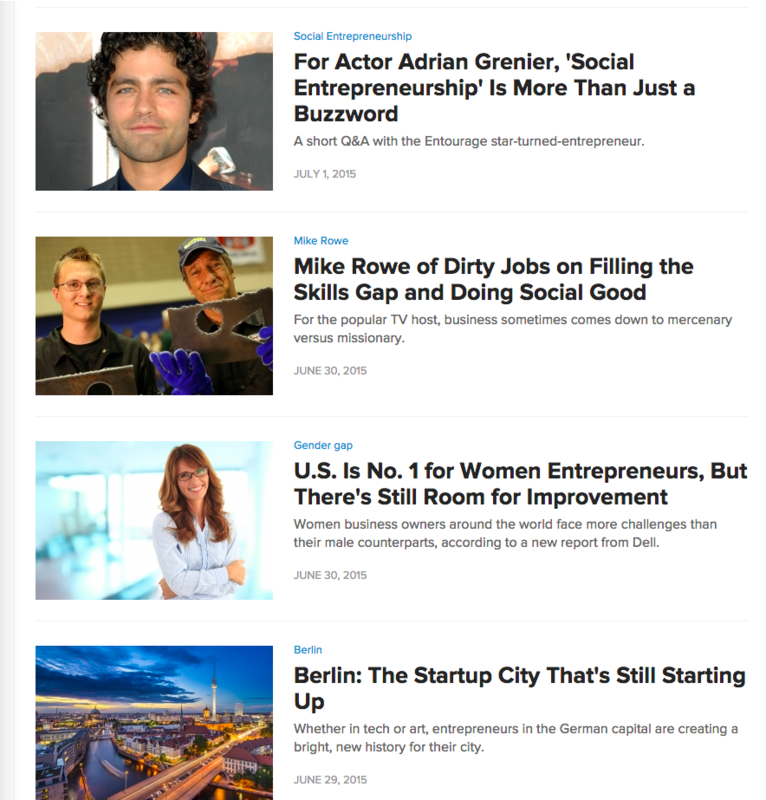 They even have services that will write articles for time-pressed entrepreneurs. You don’t need to worry about coming up with articles or submitting it to editors. They’ll take care of that for you. The criteria for admission is a business that does >$1m in annual revenues and a $1,000 annual fee. You’ll also be able to connect with young up-and-coming (under 40 years old) entrepreneurs. 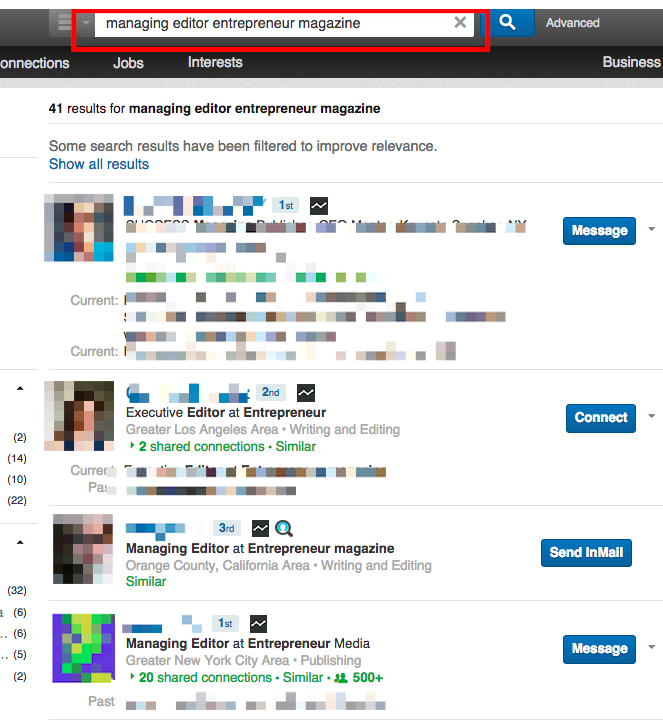 First, figure out which publications you want to appear on. For Growth Everywhere, my audience is entrepreneurs and marketers, so it makes sense to target sites such as Entrepreneur, Forbes, Fast Company, and Business Insider. On the marketing side, it makes sense for me to write for sites like Social Media Examiner, HubSpot, and more. Next, you need to figure out what your unique angle is. What is it that makes you special? What are you good at? Where can you bring the most value? For example, Tim Ferriss is an exceptional interviewer because he’s a voracious learner. Because of that, he can talk about many different subjects with world-class performers from Arnold Schwarzenegger to angel investor Chris Sacca. That’s why he has one of the top podcasts in iTunes (over 1,967 reviews with a 4.5 star average). Be unique and authentic, and people will be more receptive to you—especially when you’re trying to get on a larger publication. Now you have to get to the actual decision makers when it comes to contributions. I usually target the ‘Managing Editor’ title. Even if they aren’t the ones making the call on guest contributors, they can at least point you in the right direction. From there, you can either use a tool like E-mail Hunter or simply Google their Twitter handle to reach out to them. Perfect – looks like this is right up my alley (startup/entrepreneurship). Once I know I have the right fit, I’ll add them to a spreadsheet with a column that notes the topics that resonate with my target. Ok, now it’s time to prepare a list of 5 ideas per category. For example, if you were targeting editors with interests in startup/entrepreneurship, you’d create 5 headlines for this category. If you were targeting editors interested in marketing, it’d be another 5 headlines about that category. Rinse and repeat until you have 5 for each topic. Make sure they’re GREAT headlines too. More importantly, analyze the types of headlines they use and mold your headline to match their style. Congratulations, you’ve gotten them to open your e-mail! Now it’s time to close them with a solid e-mail template. Big fan of your work. I especially liked [this article:link] where you talked about [what they talked about]. My name is [YOUR NAME] and I’d like to write on [TOPIC] for [YOUR COMPANY]. I’ve written for [INSERT SIMILAR PUBLICATION LINKS] and I think my writing would resonate with your audience. I’ve prepared a few ideas just for you. Keep doing this and I guarantee you’ll gain traction. You’ll likely get a few ignores or rejections at first, but the key is to keep pushing. Brian Dean from Backlinko notes that he gets a 11% conversion rate on content promotion e-mails. If they say no? Make a note to follow up in 2-3 months as you continue to rack up more experience under your belt. You can make life even easier by using sales automation tools. At the end of the day, it’s just a numbers game. You’re bound to convert a few publications that you can write for. If someone you know is producing content for a publication you want to be on, ask them for a referral to the managing editor. A warm introduction goes a long way. This seems like a ‘duh’ tip but most people forget to do what’s right in front of them. 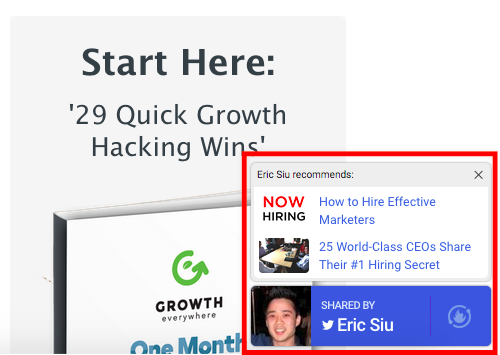 Build a circle of influencers – GrooveHQ got over 1,000+ subscribers from a single blog post in 24 hours by starting off with an influencer list. 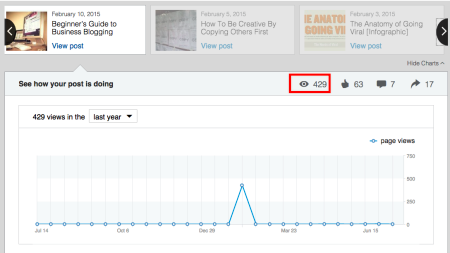 From a revenue standpoint, that post generated about $3,425 in revenue. That was when they were just starting out. They now do over $170,000 in monthly recurring revenue. Tweeting/e-mailing the people mentioned – This is the lowest hanging fruit you can tackle when it comes to promotion. People love hearing about themselves and if the piece you produced is solid, they’re happy to share. Personally, I haven’t done the best job at doing this but when I do, it pays off handsomely. I have since hired someone to handle this (you probably should if you have more pressing matters to tend to). 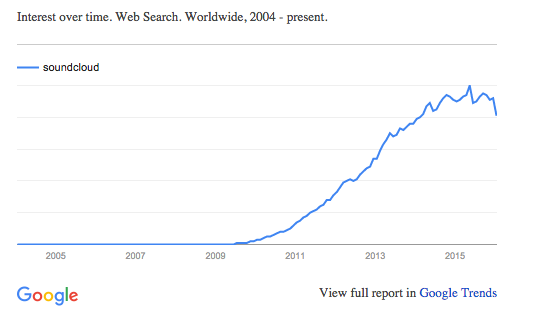 Number of reachouts – total number of outreach attempts. Shares – total shares from your promotion attempts. Links acquired – total links acquired from your promotion attempts (harder to track because links take time to show up so it’s recommended that you come back to this one month out). For a more automated method of tracking and sending out e-mails, you can use sales automation tools like Outreach. Seeding to communities – there are lots of great communities where people share content online. 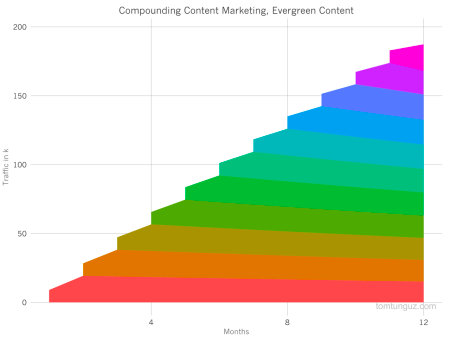 For example, Growth Everywhere posts typically cover topics around marketing, sales and startups. 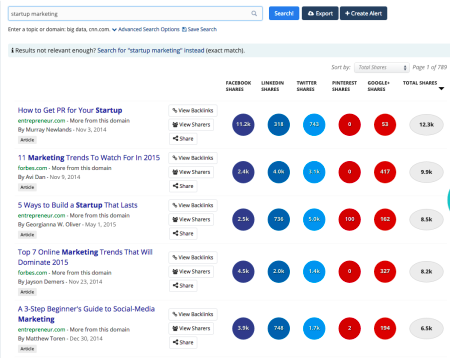 Growthhackers.com – startup marketing community. Inbound.org – inbound marketing community. Reddit – /r/startups or Reddit.com/r/entrepreneur or Reddit.com/r/marketing. A note on communities: each community is different and you don’t want to be too self promotional or else they’ll rip you apart. Reddit especially. Buffer – Buffer has been a staple in our social media toolbox for years and still continues to be. You can schedule posts to multiple channels through your browser and then view the effectiveness of your posts over time. Huge timesaver and great to pair with MeetEdgar. 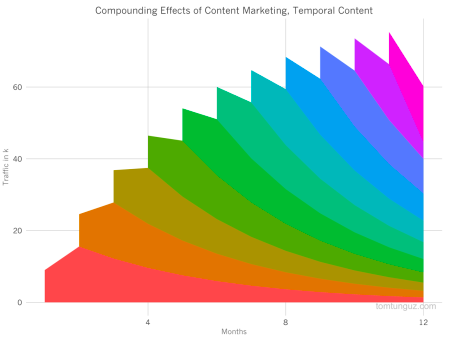 Outbrain, Taboola, StumbleUpon – Content distribution networks such as Outbrain and Taboola can return a ROI if you’re really trying to expand your content reach. These are the recommended posts that you see below sites such as CNN.com and ESPN.com. 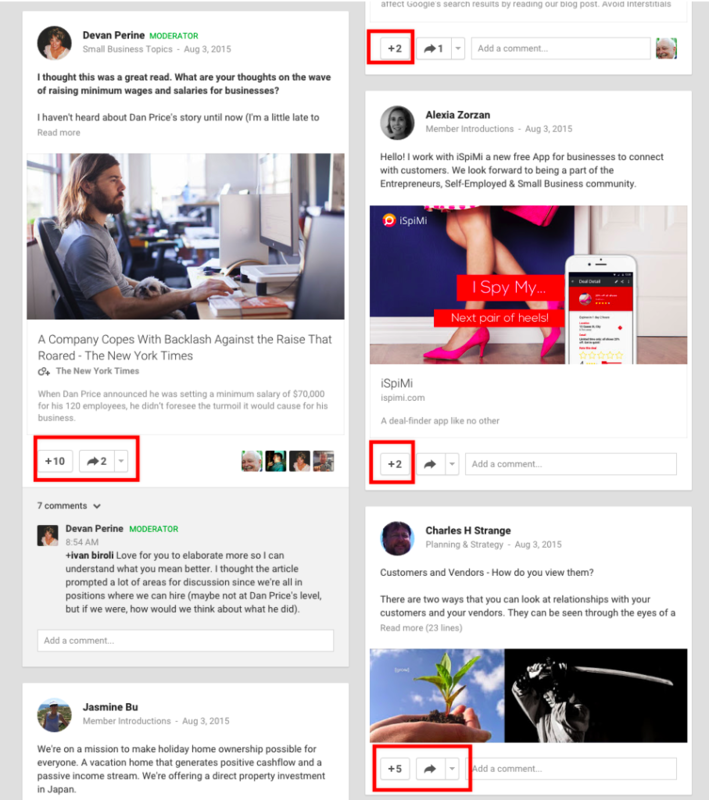 Moz has a post that reports getting 1,000+ social shares and 82 links on a $2,000 spend. Since using it, we’ve gotten over 790 pageviews and 109 badge clicks for a 13.7% CTR. Not too shabby for not having to do any extra work. Look through your Analytics to see your top 10 performing posts in the past year. Which of these can you convert into a SlideShare, video or e-book? After you’ve made the original piece MORE epic, think about how you can repurpose it. After that, follow the Derek Halpern rule: spend 20% of your time creating a post and 80% of your time promoting it. 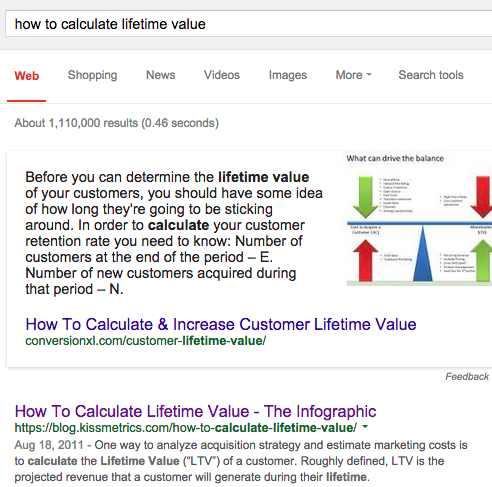 Analytics company KISSmetrics ranks #1 for the keyword ‘how to calculate lifetime value’. But most of us don’t have the budget or time to research a well thought out infographics. Thankfully, there are a few options to produce infographics quickly on a budget (such as Canva or Piktochart). 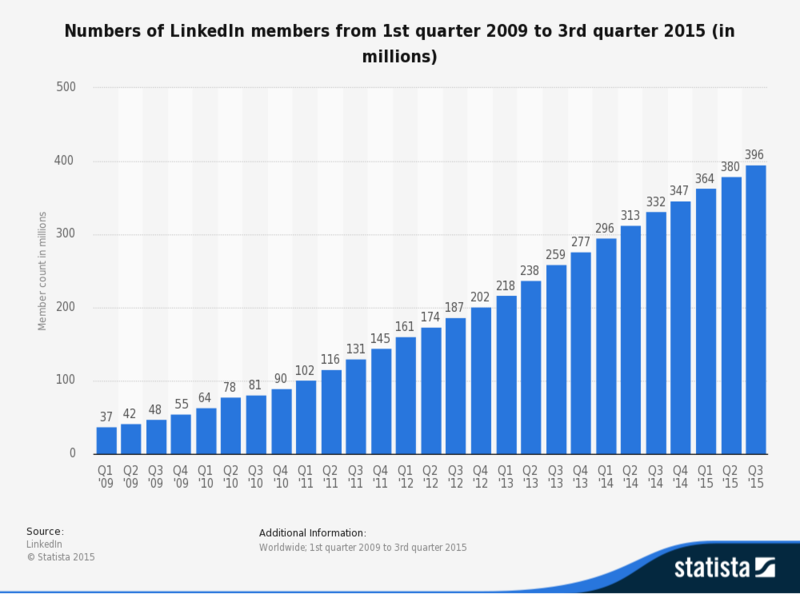 With over 60 million monthly users, SlideShare has been called content marketing’s sleeping giant. If you present often, it makes sense to share your slides on SlideShare. 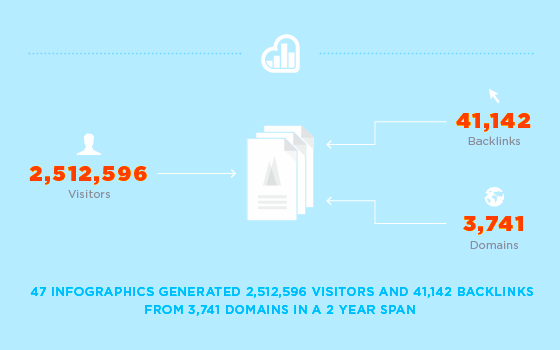 You can even slice up past infographics you’ve done and post them up to increase your reach. Visual bookmarking site Pinterest is projected to have more than 47 million monthly active users in 2015. It’s not just a site for women to post wedding photos on. It’s in your best interest to figure out if your demographic hangs out there. If they do, then it’s time to learn how to market on Pinterest. If you aren’t so sure about your design chops, you can learn how to create visually appealing content from Neil Patel. 73% of marketers agree that e-mail marketing is core to their business. In 2014, e-mail marketing was cited as the most effective digital marketing channel for customer retention in the United States. Over 59% of B2B marketers say e-mail is the most effective channel for generating revenue. Sometimes, people (like myself) are so focused on the new shiny object that we forget how to optimize our e-mails. 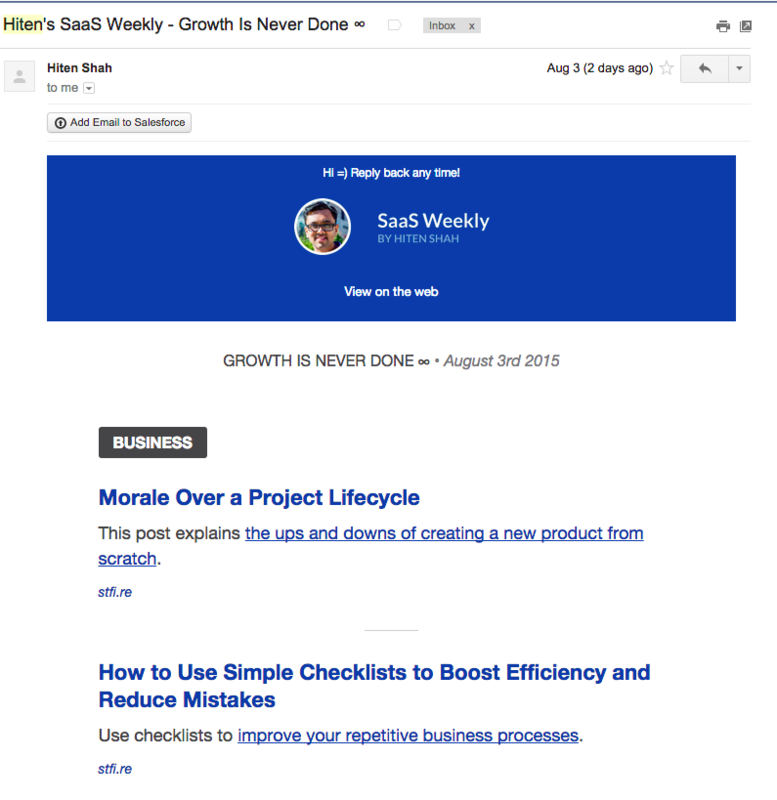 Weekly digests are a great way for promoting content to your lists. What’s one way you can enhance your e-mail marketing to promote your content? YouTube isn’t the only show in town. Online video site Vimeo has over 100 million users and 400k paying subscribers. I personally use it to host my courses and my summits. Vimeo is all about building communities and the audience tends to be full of quality-seekers. Learn more about Vimeo marketing here. Q+A site Quora is a great place to share your knowledge. Venture Capitalist (and former guest on the show) Jason Lemkin has eclipsed over 10M views on Quora and built a very strong brand in the software-as-a-service world called SaaStr. Be a first mover – As far as I know, Jason was one of the first guys on Quora to contribute insightful answers around getting to traction, building a sales team, customer success, life as an executive, hiring & retention and much more. Be consistent – When I log into Quora, I always see a recent post from Jason. It’s all about consistency (just look at the graph above). His ‘Best Of’ section isn’t getting any smaller either. Don’t be afraid to crosspost or repurpose – Jason will habitually repost some of the same content in an answer because it adds value. Lesson: don’t be afraid to repurpose your content. There’s no need to always reinvent the wheel. Do something with your community once you’ve built it – The SaaStr Annual conference was eventually born from all of his efforts. Guests included Box CEO Aaron Levie, Slack CEO Stewart Butterfield and many more stars in the space. The quality of attendees was exceptional and I can say it’s one of the best conferences I’ve been to… and it was only the first one! Periscope – Live streaming social media app Periscope has over 380 years of content consumed PER day and hit over 1 million users in just 10 days. Marketers such as Derek Halpern initially thought Periscope was dumb but now think it’s the next big thing. Here’s a guide on how to use Periscope. Vine – Over 100 million people watch Vine videos each month. Here’s a handy guide to using Vine. Snapchat – Messaging app Snapchat reportedly has close to 200 million users. Here’s a marketer’s guide to Snapchat. 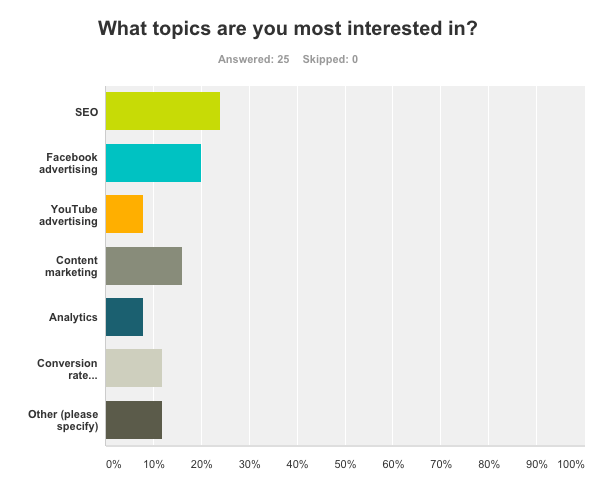 Untapped traffic sources – What about less popular channels? The big ones are mentioned over and over and they’re easy to access. But that also means they can be crowded and expensive. Mat, a guy that was intoxicated, built a completely useless site that attracts 3,000 to 40,000 visitors a day. But he was able to tap into a site outside of the usual social media bubble called The Useless Web. 90% of his traffic comes from that site. One more thing: online isn’t the only way to find traffic. An extremely successful dating site ($45m/year) used lawn signs to generate offline-to-online traffic. So be creative. 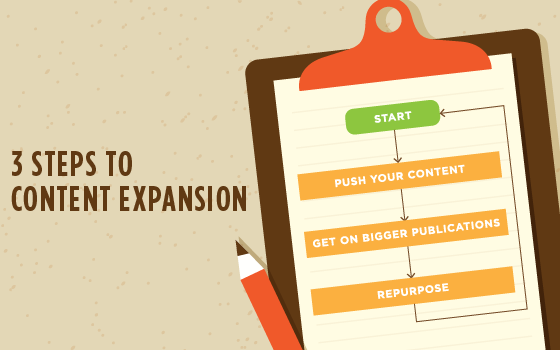 The work isn’t done after you’ve had a successful content expansion campaign. It’s all about iterating after that. You can use tools like SurveyMonkey to get a pulse on your audience. For example, you can ask them to rate your specific piece of content on a scale of 1-10 or even ask them which topics they’re most interested in. From there, you’ll have some data to point you in the right direction for future epic content ideas. The Ultimate Content Promotion Checklist – A simple, interactive content promotion checklist for you to follow. Adapt for your own needs. Advanced SEO Campaign Blueprint – Content and SEO go hand in hand. If you’re doing content, it’s on you to understand the nuances of SEO. Don’t leave home without this blueprint. How Nick Eubanks built a site up to 100,000 visitors per month quickly using SEO and content – self explanatory. If you can consistently expand and repurpose your content, you’re well on your way to creating something really special.